Welcome to Brothers Plumbing Supply, Sacramento’s time-tested, family owned plumbing showroom. Sacramento homeowners know us as the region’s most complete resource for plumbing supply products from fixtures to rough plumbing parts. But Sacramento gets something more – our ability to guide customers through almost any plumbing repair or project. 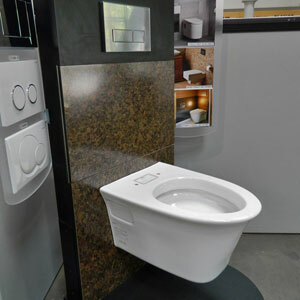 Yes, we have bathroom fixtures and kitchen fixtures in our plumbing showroom. We even have a separate, special section of bargain bathroom fixtures our Sacramento customers love. We have irrigation system parts and rough plumbing supplies for Sacramento plumbing projects, plus hard-to-find plumbing supply parts in our plumbing showroom. But homeowners can expect a lot more from us in the customer service department! Let us tell you why we are unique in the marketplace of Sacramento plumbing supply. Along with kitchen fixtures and bathroom fixtures Sacramento can count on Brothers for the region’s most extensive plumbing supply products. Sacramento does have Big Box outlets with common plumbing supply parts. Sacramento’s largest selection of hard-to-find and essential plumbing supply products, however, is housed under the roof of our family owned plumbing supply shop. 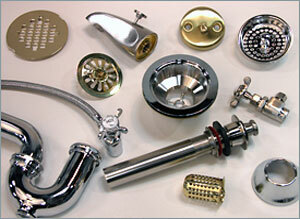 We have parts for almost any kitchen fixture or bathroom fixture on hand! Homeowners also visit us for advice on how to make plumbing repairs successful. Our personal approach makes a big difference to customers. Brothers plumbing showroom is Sacramento’s biggest plumbing supply resource and, with helpful guidance about plumbing supply parts, Sacramento homeowners benefit from our decades of professional experience with bathroom fixtures, kitchen fixtures and all plumbing jobs. We are proud to be the one-stop shop for plumbing supplies in Sacramento. Do-it-yourself plumbing repair is convenient with parts from our plumbing showroom. Sacramento also counts on Brothers for top quality bathroom fixtures and kitchen fixtures. Sacramento is our home too. We deliver quality plumbing supply to Sacramento friends and neighbors. 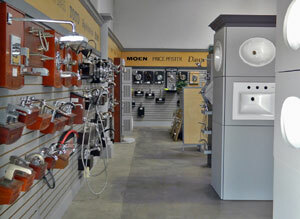 Visit our plumbing supply showroom soon! Sacramento do-it-yourselfers should call us at our plumbing showroom first at (916) 381-3838 to consult about the needed plumbing supply products. Sacramento’s savvy homeowners are then advised to bring us a sample part when they visit our plumbing showroom - Sacramento’s most complete plumbing supply parts resource! When you visit our Sacramento plumbing supply showroom we invite you to take your time, let us work with you so you go home with just the right plumbing parts. Our mission is to help plumbing supply customers with individual service so plumbing repair or installation of bathroom fixtures or kitchen fixtures is completely successful and affordable. Customers love our loyal crew of Sacramento plumbing supply experts and enjoy our spacious, attractive plumbing showroom. Homeowners come to Brothers for the region’s largest plumbing supply inventory. Sacramento customers find plumbing supply products from small parts to top-brand bathroom fixtures and kitchen fixtures with Sacramento’s most experienced plumbing professionals on hand to help. 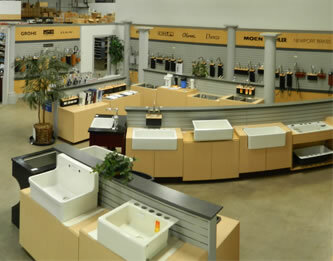 We even have counter tops designed for customers to assemble plumbing supply parts on for Sacramento plumbing repairs. Along with a full range of plumbing supply parts, Sacramento homeowners love to browse our plumbing showroom that was designed to make customers comfortable while shopping for kitchen fixtures and bathroom fixtures. Sacramento sunshine brightens our well organized shop from skylights, bringing natural lighting to our plumbing showroom. 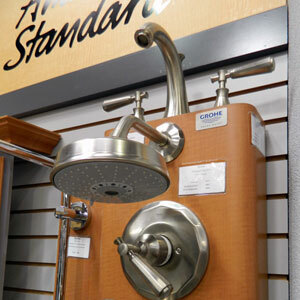 Customers find displays of the industry’s best plumbing supply products for bathroom fixtures and kitchen fixtures. Our Sacramento team selects only quality fixtures in price ranges suited to your budget. 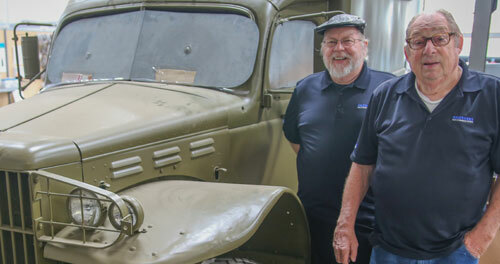 Like Brothers Plumbing Supply in Sacramento, Kohler is a company steeped in family tradition. 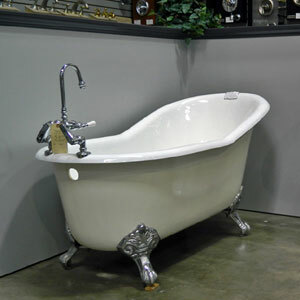 In 1883, John Kohler made cast iron troughs coated with enamel powder that became the template for today’s bathtub! Today, Kohler’s refined bathroom fixtures and kitchen fixtures grace Sacramento homes with some of the world’s most stylish products. 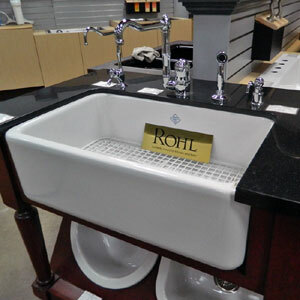 Kohler is Sacramento’s standard for excellence in our plumbing showroom. Sacramento families love the region’s beautiful Delta lands, yes! And, they are big fans of Delta Faucets– our plumbing supply source with a global reputation for innovation. You’ll see the latest faucets for kitchen fixtures and bathroom fixtures plus accessories from Delta for Sacramento in our plumbing supply showroom - Sacramento’s choice for fine products from Delta. Sacramento homeowners are opting for eco-friendly bathroom fixtures and no one does it better than Toto! In Sacramento and around the globe, Toto proves that beauty and functionality make great partners when it comes to bathroom fixtures. Sacramento customers joining the movement toward sustainability without sacrificing style choose Toto for bathroom fixtures. Sacramento design conscious customers appreciate Grohe bathroom fixtures and kitchen fixtures. With award winning faucets and accessories, Grohe stands out as an international leader in bathroom fixtures and kitchen fixtures. Sacramento families looking for great design plus sustainability choose Grohe kitchen fixtures. 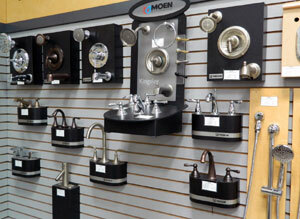 The best bathroom fixtures or kitchen fixtures for Sacramento often feature faucets from Moen. In Sacramento and around the world, the company has been a leader for more than 100 years. Brothers Plumbing Supply is proud to present Moen to Sacramento homeowners – time-tested kitchen fixtures and bathroom fixtures.